Most people with diabetes struggle to some extent with damage to nerves and blood vessels in the feet and legs, a common complication of the disease. When the damage is severe, bones become brittle and break easily—and if your nerves aren’t working, you may not even feel it. As you continue to walk on disintegrating bones and joints, you compound the damage and can even warp and deform the entire shape of your foot and ankle. This condition, known as Charcot foot, is one of the most serious outcomes that can result from improper management of diabetes symptoms. If the deformity is severe or unstable, surgical correction is very difficult and may not successfully halt ulcerations or heal the bone, leaving permanent disability or even amputation as the only recourse. That’s why careful management of your condition and daily foot checks are so absolutely critical—you must identify the problem early, while there’s still time to save your foot. The earliest warning sign is usually redness and swelling. This may occur even if you haven’t experienced any obvious injury. Try touching the swollen skin—is it warmer to the touch than the surrounding skin, or the other (unaffected) foot? This is another potential warning sign. It’s also known that having a tight Achilles tendon (which pulls on the heel) can increase your risk or developing Charcot foot. You may additionally feel some pain or soreness, but do not rely on pain to be your guide. Most people with this condition experience very little pain, and that’s the reason the damage can become so extensive—nerve failure is so complete that you can’t even tell when you’re walking on broken, disintegrating bones. As soon as you suspect an issue or notice troubling symptoms, call Foot Doctor of the East Bay. Our experts will need to examine your foot and take X-rays in order to properly diagnose your condition, assess the damage, and lay out a treatment plan. If caught early enough, you might be able to avoid surgery. Immediate immobilization and discontinuation of all weight-bearing activity will be necessary to allow your bones the protection needed to repair themselves; crutches, a knee walker, or a wheelchair are typically necessary. After the healing process is complete, special shoes, walking boots, or braces are frequently needed for some time thereafter in order to protect against re-injury. If the damage is more extensive, surgery must be considered. The exact type of surgery and odds of success will depend on the location and extent of the damage, as well as how well you follow post-operative instructions. Generally speaking, the earlier you identify the problem and the more stable the deformity, the more likely surgery will permanently correct the problem. Unstable injuries (especially in the ankle) or fractures in softer bones may require more complex procedures and carry a higher risk of complications—including an increased risk that the damaged foot or limb may require amputation. It goes without saying that prevention is by far the best “treatment” method. 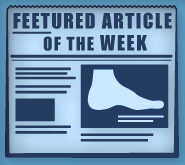 Preventing Charcot foot is not difficult, but it requires daily dedication and awareness. Keep your blood sugar level within a healthy range in order to slow the nerve damage and loss of sensation) in your lower limbs. Protect your feet from damage at all times by wearing sturdy, well-fitting, protective footwear and avoiding activities with a high risk of injury. Inspect your feet thoroughly at least once every day (even take pictures if you need to), so that any observed changes are detected and addressed quickly. Schedule regular check-ups with Foot Doctor of the East Bay so our doctors can examine your feet and provide expert care. If you suffer from severe neuropathy and notice any symptoms you think might be Charcot foot, don’t wait—get off the foot and call Foot Doctor of the East Bay immediately. Stopping the damage along with early diagnosis and treatment could save your foot, your leg, or even your life. Give us a call at (510) 483-3390 or visit in Pleasanton, Los Gatos, or San Leandro, CA.